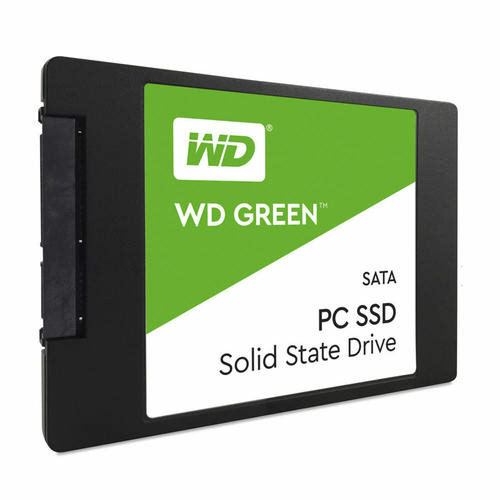 For fast performance and reliability, WD Green SSDs boost the everyday computing experience in your desktop or laptop PC. · SLC (single-level cell) caching boosts write performance to quickly perform everyday tasks. · Sequential read speeds of up to 545MB/s. · Ultra low power-draw so you can use your laptop PC for longer periods of time. · Available in 2.5"/7mm cased and M.2 2280 models to accommodate most PCs. · WD FIT Lab® certification for compatibility across a wide range of laptop and desktop computers. · Free downloadable software to monitor the status of your drive and clone a drive, or backup your data.